Puerto Rico has about 99 problems. And it just got one more. Walmart (WMT) is suing the island over what the company calls an "onerous and unconstitutional" tax increase. It's such a dramatic hike that Walmart estimates now it will have to pay 91.5% of its net income in Puerto Rico in taxes. That's about three times what Walmart pays, on average, in taxes elsewhere. 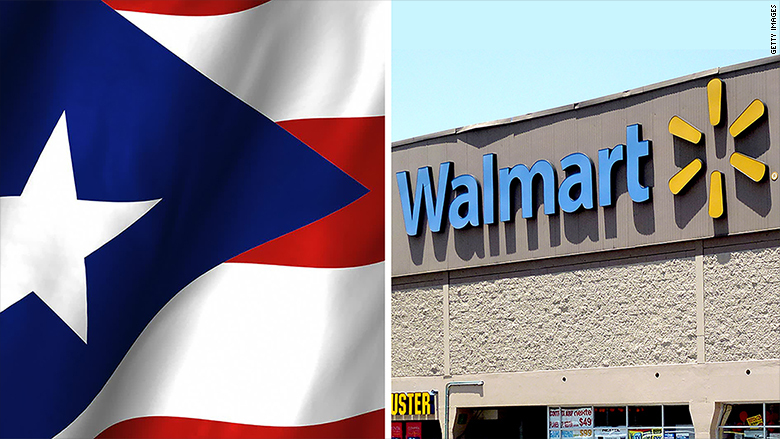 Puerto Rico is short on cash and has accused Walmart of not paying its fair share of taxes. The island owes over $70 billion in debt that it says it cannot pay back in full. As part of its plan to raise more money, Puerto Rico more than doubled the tax on goods that big companies like Walmart bring in from suppliers outside the island. The hike only applies to big companies with revenues over $2.75 billion a year. "No government should be permitted to drive a company -- the largest private employer -- out of business through a special tax applicable at its highest rate only to that company," Walmart asserts in the legal complaint that it filed on Friday. Walmart has 55 stores in Puerto Rico that employ close to 15,000 people. The company says it will "reconsider its operations" on the island if the situation doesn't change. Walmart says time is of the essence to get this sorted out. It worries that Puerto Rico is so far in debt that it won't be able to refund the company if the tax is ruled illegal. Puerto Rico already defaulted on a small portion of its debts in August and there are concerns it will default again on a large payment due January 1. Residents are fleeing the island and moving to the mainland United States, which depletes tax revenues even further. Unemployment is over 12%. The governor of Puerto Rico has called the island's debt burden a "death spiral." He's pleading with Congress to allow the island rights to declare bankruptcy, much like what the city of Detroit did. There's little appetite in the Republican-controlled Congress to give Puerto Rico what is known as Chapter 9 bankruptcy rights. "We continue to question if Washington is prepared to offer material help to Puerto Rico. 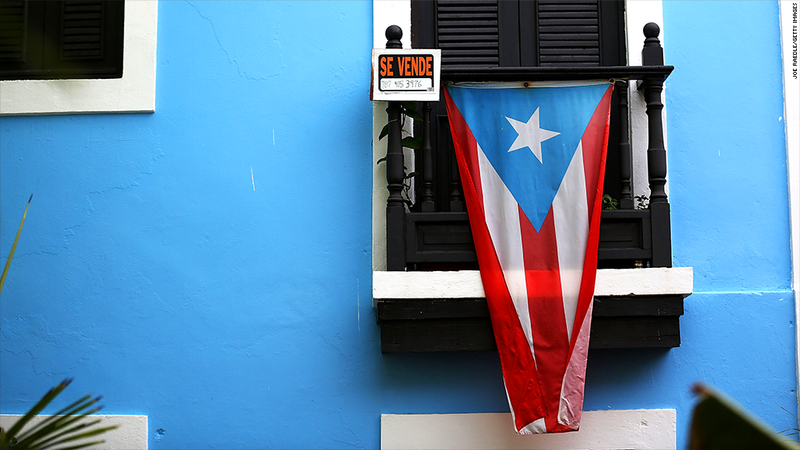 This suggests more defaults are likely as the Puerto Rican government appears to lack the ability to meet its debt obligations, wrote Jaret Seiberg of Guggenheim Partners in a note to clients. Cate Long of research firm Puerto Rico Clearinghouse thinks Walmart has a good chance of winning this case because the tax discriminates against large companies. "Their tax law in general is very screwed up," says Long. "There are loopholes all throughout the Puerto Rico tax code."